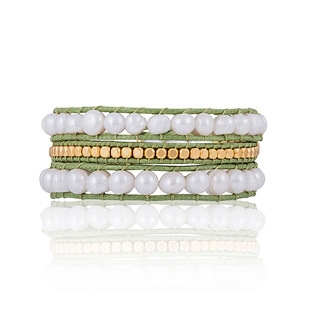 Natural fresh water pearls and gold coloured metal beads are hand stitched to a vegan friendly green cord to create this fun and elegant wrap bracelet. 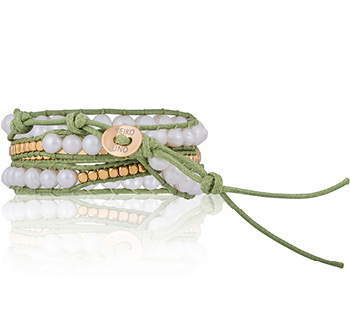 Add fun and elegance with Keiko Uno Jewellery’s ‘Shimmer and Shine Wrap Bracelet’. Wear alone, or stack your favourite colours to create your own unique look. Our branded oval button can be secured at three different lengths to suit small, medium and large wrist sizes.